Exedy Corporation is based out of Japan and it's main focus is aftermarket and OEM clutch kits. Most well known in the tuner industry for their high performance clutch products, Exedy has several different kits available for street or race cars. Their highest line kit is a triple plate carbon fiber disk clutch kit, while the most popular unit is their Twin Plate kit with Flywheel. These kits are generally for high performance street or race cars with horsepower exceeding 500whp. 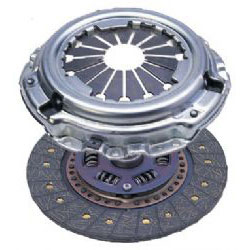 Exedy also manufactures great OEM replacement clutch kits for your average street vehicle.